Last weekend Johnny and his dad attended our cousin Tim’s retirement ceremony from the Air Force. It was held in Warner Robbins, just south of Macon, GA. On their way home, they stopped by the town of Fort Valley so that Johnny could show his dad around Lane Southern Orchards. Two years ago, Johnny and I visited Lane Orchards after attending the Georgia Peach Festival. Lane’s peach cobbler and ice cream are so addicting, we knew we wanted to come back for more every year. Although I could not make it to the farm this summer, Johnny made sure to bring me back some peaches and cider. 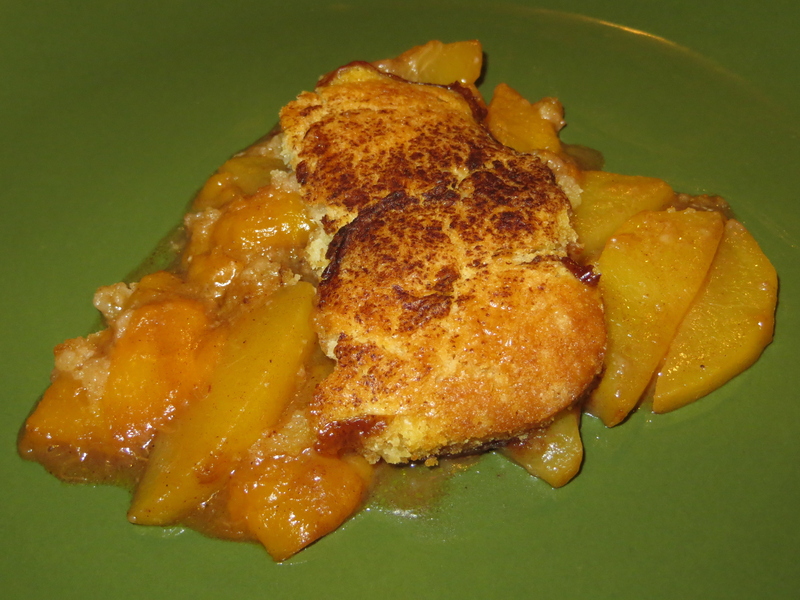 Using Lane Southern Orchard’s peaches, Johnny created his own peach cobbler, infused with a touch of bourbon. 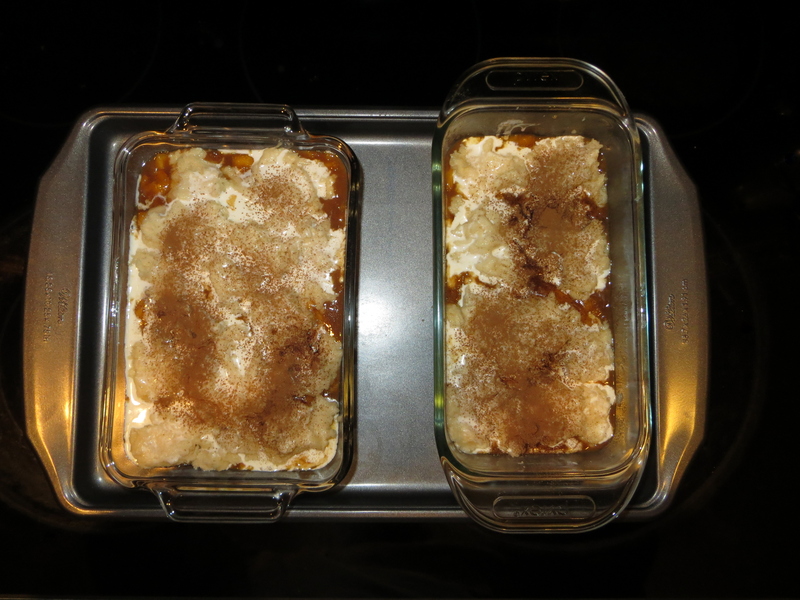 The result: peach cobbler that melts in your mouth, is not overly sweet, and you can taste the freshness of the fruits. The recipe used (and shown below) is from Tyler Florence. The original can be found here. 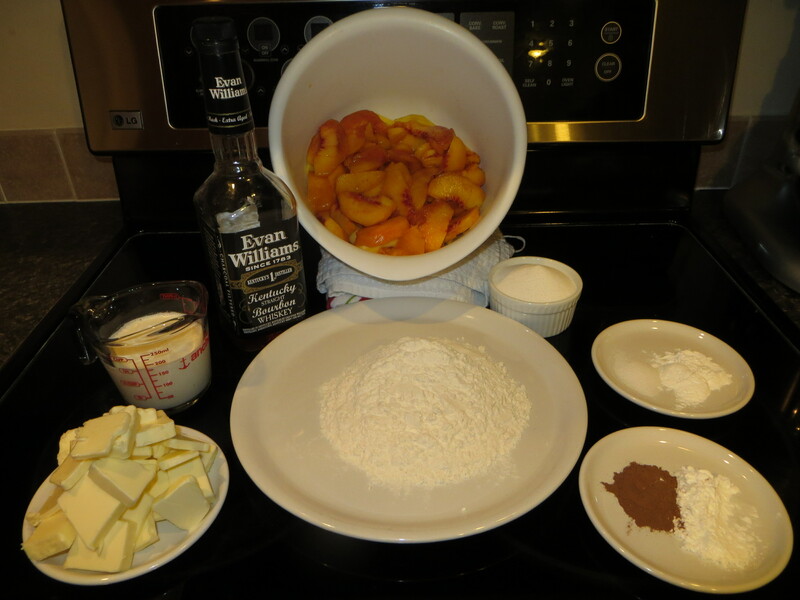 Combine the peaches, bourbon, 1/4 cup sugar, the cornstarch and cinnamon in a large bowl and toss to coat. Sift the flour, the remaining 1/2 cup sugar, the baking powder and salt into a bowl. 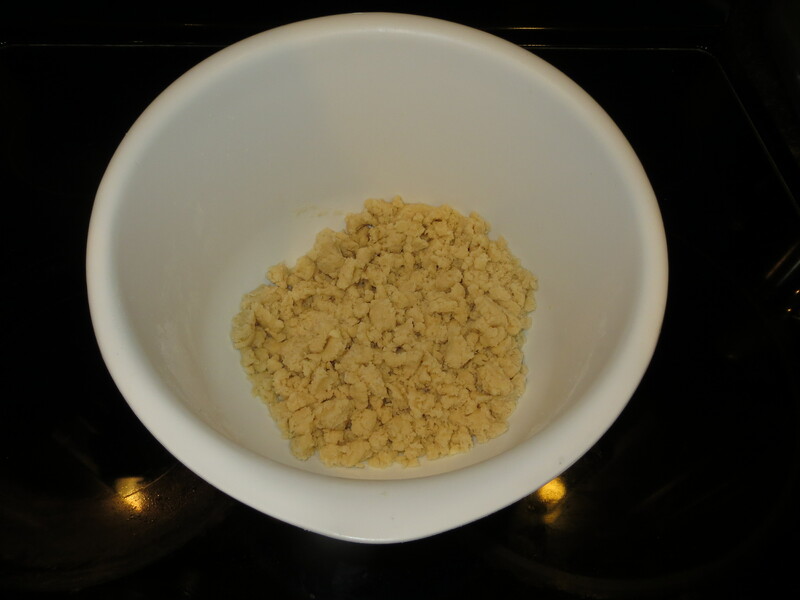 Cut 1 1/2 sticks of the butter into small pieces; add to the flour mixture and cut it in with a pastry blender or your hands until the mixture looks like coarse crumbs. Pour in the cream and mix just until the dough comes together. Don’t overwork; the dough should be slightly sticky but manageable. Melt the remaining 1/2 stick butter in a large cast-iron skillet or pot over medium-low heat. 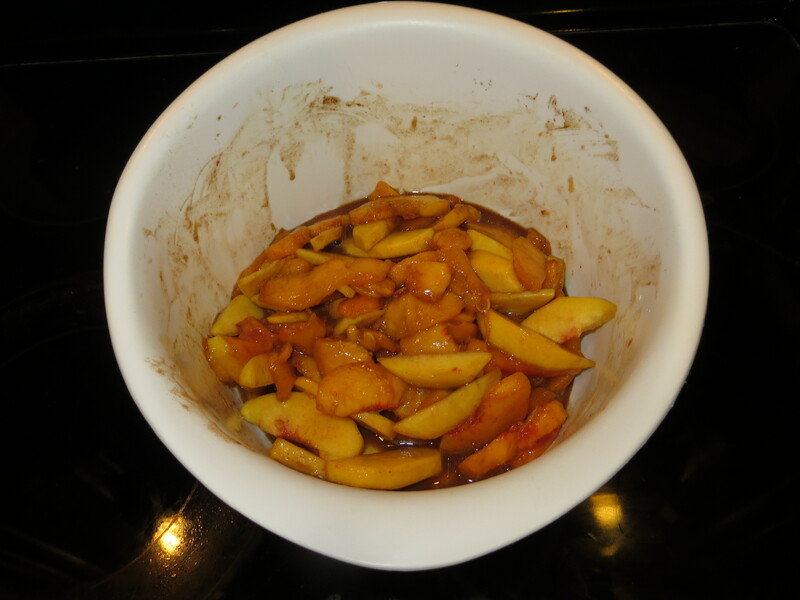 Add the peach mixture and cook gently until heated through, about 5 minutes. 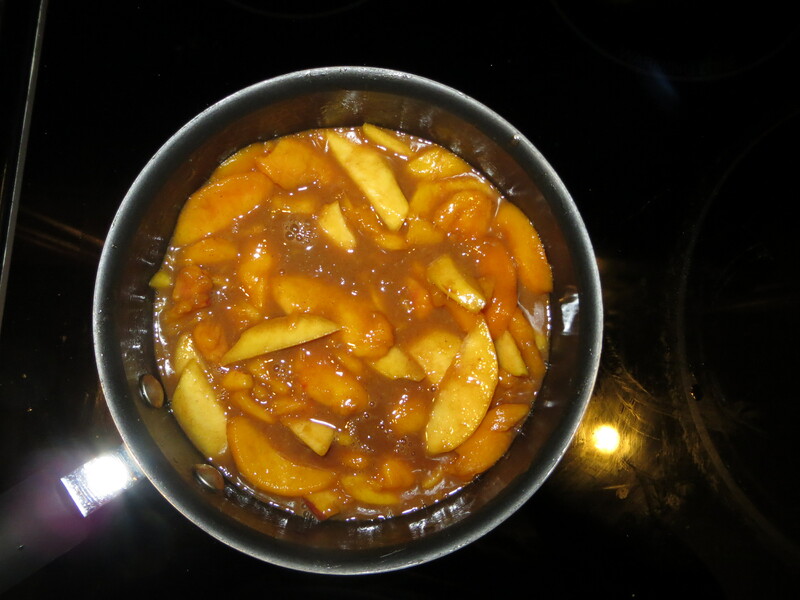 Drop the dough by tablespoonfuls over the warm peaches. (There can be gaps because the dough will puff up and spread as it bakes.) Brush the top with some heavy cream and sprinkle with sugar and a little extra cinnamon. Bake in the oven on a baking sheet (to catch any drips) until the cobbler is browned and the fruit is bubbling, 40 to 45 minutes. Mmm I love the photo of the cobbler straight out of the oven!!! I want to dig right in! Thanks, Ashley. 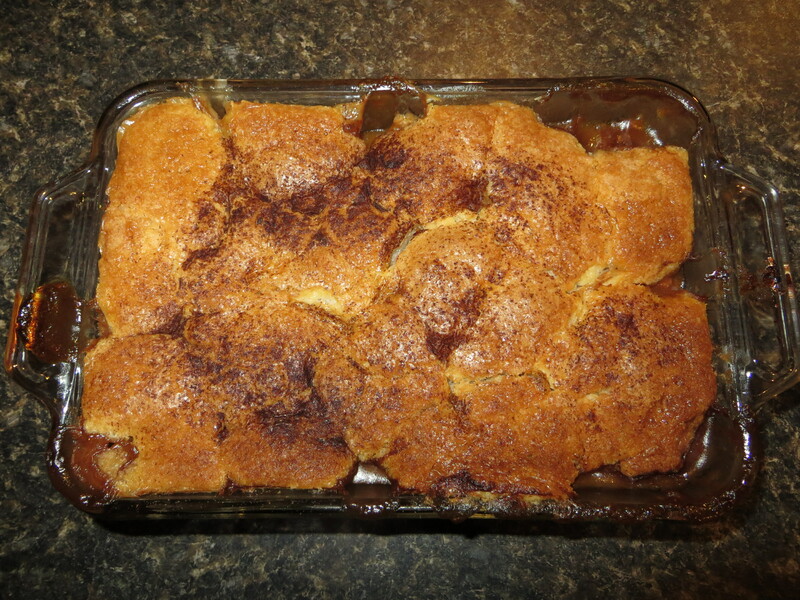 We have been sharing this cobbler with friends and family.